Engadget is running a very thorough 2-part upgrade guide on the Microsoft Vista. The first part talks about the software whilst the second part, the hardware. Click here for the guide. 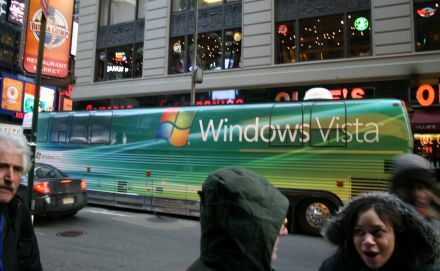 The long-awaited Microsoft Vista is finally out. Click here for a run down of the launch event, brought to you by Engadget. Some very nice pics inside. Meanwhile back at the farm, I am busy filling out forms for my Vista free upgrade on my ASUS G1 and new HP Pavilion. No time to chat. Remember the earthquake last Christmas that disrupted all internet traffic (well, my line with Netvigator is still slow at times), that really hurt most bloggers as they cannot access the internet at all times to work on their blogs. Came across this wonderful software today that let you write your blogs offline and publish them to leading Blog services such as WordPress, TypePad, Movable Type, Blogger (new and old), MSN Spaces, Blogware, BlogHarbor, Squarespace, Drupal, Community Server, etc. You can also link up pics from your comp or from Flickr, vids from YouTube, and even attach files. Too good to be true? watch the demo at the following link, http://blogjet.com, and you’re gonna love it. I’m gonna testdrive it this weekend and will do a write-up about it. Microsoft released on Monday the Microsoft Photo Info Tool. What it does is it provides additional hover tips, it lets you add, change and delete common “metadata” properties for digital photographs from inside Windows Explorer; just like the IDTag with the MP3s. I’ve downloaded it, played around with it and I liked it. How it works: Once you have it installed (install the .NET Framework first), right click the picture in Windows Explorer and you will see “Photo Info”, click it and it will bring up the menu just like the above pic and you can input all the info you need. View or edit photo metadata from inside Windows Explorer. Now, advanced image properties are at your fingertips from within Windows. Edit images individually, or as a collection. Photo Info has two edit modes: individual and collection, making it easy to update many images at the same time. Quick recall of recent entries. For some properties, Photo Info remembers the most recent entries you have typed. To recall a recent entry, click on the drop down arrow and select it from the list. Generate copyright notice automatically. Photo Info can generate a standard copyright notice automatically from the Author and date Created information, if present. Quick recall of location details. To help save time when entering location information, Photo Info can save location details under a name you provide. Recall these details by selecting the location name from the drop-down menu. Correct EXIF capture date / time information. Photo Info can optionally update the EXIF date/time information as recorded in the image file by your camera. You can use this feature to correct the file capture date if your camera’s clock was set incorrectly (for example, to the wrong time zone). View EXIF properties. Click on the Details tab to view common EXIF properties. Click on More properties for additional details. Preview the image. To see a larger preview of the image, double-click on the thumbnail. Enhanced hover tips. Hover tips have been enhanced for JPEG, TIFF and other supported file types in Windows Explorer. Custom column properties. In Windows Explorer when viewing a folder in Details view, additional sort properties are available for supported image types. You can download it here. Tips: You need to install the .NET Framework as well, version 2.0 or the newer 3.0 will do. Download for .NET Framework v.3.0 is linked here as well. Excellent Mask Backpiece covered by ModBlog, click here for article. 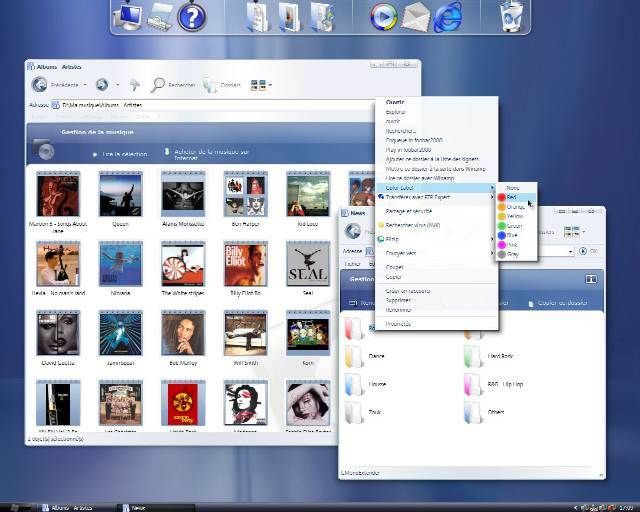 Well, it’s six days away from the launch of Microsoft Vista and if you cannot savoured the wait, I might just have what you need, the Vista Sidebar – Brico Pack Vista . These sidebars can be installed on to the Windows XP and at the same time give you the feel of how the next generation Vista Sidebar work. Additional gadgets can also be added on to the sidebar to suit each person’s need. For Brico Pack Vista Inspirat, click here for the download. Read the following today (don’t ask from where) and could not agree more, your thoughts? Just got this real hot notebook for my gaming needs as my Toshiba M40 (2 years old) is experiencing a lot of lag due to the new graphics requirements of the new expansion for my favourite MMORPG, Dark Age of Camelot. I will run it a few days and let you all know how it goes. So far, the screen is just beautiful. Other accessories included a Logitech MX518 rebranded mouse (1600 dpi optical mouse, great for gaming) and a backpack (pretty rare item, see detail review below for pic and info). Best feature: the ASUS Direct Messenger as shown in the above pic. 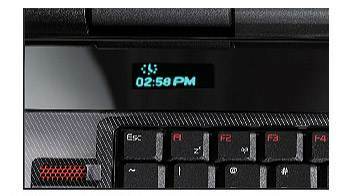 Not only would it display time and battery condition, it can also be configured to display incoming emails, MSN, Skype, Outlook meeting notifications on it, pretty cool addition. You can even input free text such as “My Gaming Notebook” to impress others. 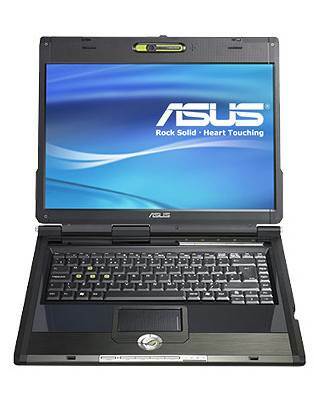 System configuration: Windows XP Professional SP2; 2.0GHz Intel Core 2 Duo T7200; 2,048MB DDR2 SDRAM 667MHz; 512MB Nvidia GeForce Go 7700; 160GB Seagate 5,400rpm SATA/150; 1.3 Mega Pixels Web Cam; WSXGA+ (1680 x 1050) displayed on a 15.4-inch TFT screen. Click here for the detail review from www.notebookreview.com. WASHINGTON, D.C. and LONDON, ENGLAND /// January 17, 2007 /// The Bulletin of the Atomic Scientists (BAS) is moving the minute hand of the Doomsday Clock two minutes closer to midnight. 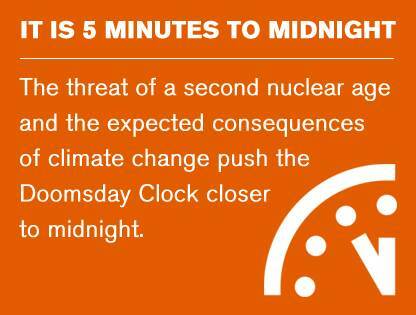 It is now 5 minutes to midnight. Reflecting global failures to solve the problems posed by nuclear weapons and the climate crisis, the decision by the BAS Board of Directors was made in consultation with the Bulletin’s Board of Sponsors, which includes 18 Nobel Laureates. For full article, please read it here. Indeed a busy week in town with Eric Clapton on the 17th January, John Legend on the 20th and Il Divo on the 22nd. Just checked HK Ticketing and tickets are still available. Don’t miss it. Learned from Mango Sauce that a new Bangkok blog is up and is called Bangkok Girlfriend by Tanai Kwai (remember NotMangoSauce I wrote about earlier? it’s the same guy, the Great Kwai), check it out, some interesting read. In the same post, David from Mango Sauce also mentioned that travel writer and blogger Carl Parkes (a.k.a. Friskodude) is on extended hiatus in a California prison after beating up an old lady who stole his crossword puzzle and Baron Bonk have been giving up writing his weekly articles due to ill health (one of my favourites). Together with the departure of Stickman, I guess we really need some new blood. MADRID (Reuters) – David Beckham will leave Real Madrid at the end of the Spanish season and sign a five-year deal for U.S. side Los Angeles Galaxy worth $1 million a week, the biggest in world sport. “After discussing several options with my family and my advisors to either stay here in Madrid or join other major British and European teams I have decided to join LA Galaxy and play in the Major League Soccer (MLS) from August this year,” Beckham told Reuters. My take, about time to get out of Madrid. Read on, full story here. In light of all the new toys I acquired lately, I have to start unloading some of the old ones. Started a “Gadget For Sale” page and you can access by clicking on the top menu bar, next to “Home”.